There’s no denying that 2014 really was a terrific year for movies. There was an impressive array of films that spanned from horror to superhero to drama to comedy and within that array where some creative and intriguing characters that we can’t stop talking about. And while the past few years have been dominated by the heroes, this year, we found the villains even more interesting. Whether the antagonist of the film takes the obvious evil route, whether they are misguided or sympathetic characters, or whether they just don’t even see the harm they inflict others, the villains are always a key element to the movement of the plot. The more evil and destructive, the more memorable the villain is. Maybe they are redeemed by the end or maybe they won’t even make it to the close, either way, they keep us on our feet. So here we’ve compiled a list of our 10 best, most memorable villains of 2014. Let’s hope that 2015 can bring as badass and destructive of a crew to screens as this set of bad guys. SPOILER WARNING! Beware that the following article does contain some major spoilers for included films. Continue with caution! Most of the villains on this list are clearly defined as such. They wear black hats and do villainous things. There’s no ambiguity about their stations in life. With Lou Bloom, however, it’s a little more complicated. When we first meet him, he’s our eccentric hero. He’s a little strange, sure, but he clearly means well. He took some business classes, has plenty of drive and just wants to move up in the world. Along the way, though, Lou gets so lost in his own reckless determination to get to the top that he starts making frightening decisions. He sabotages. He schemes. He manipulates, all of which lay his startling lack of empathy bare. By the end, Lou Bloom is every bit as villainous as anyone found on this list. 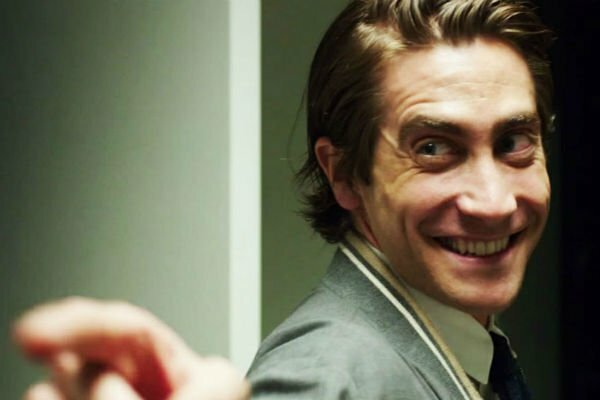 That he’s technically the main character of Nightcrawler really doesn’t matter. His choices are the same. Our perspective is just a little more cozy. In many ways, that makes it all the more frightening too. The more we’ve rooted for him, the more we become some weird form of accomplices. 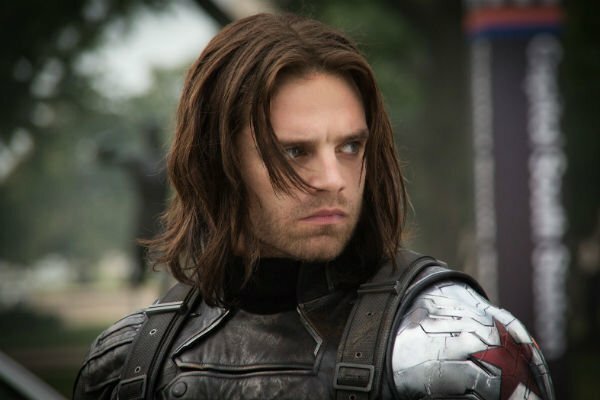 Villainous as a result of HYDRA experimentation, the Winter Soldier, otherwise known as Bucky, is the ultimate Super Soldier opposition to Captain America. From the extensive experimentation to his prosthetic arm, the Winter Soldier has also been subject to multiple mind control methods making him HYDRA’s perfect soldier. He is a ruthless killer, and has his mind wiped very frequently so to never show emotion or regret. By taking away his humanity, the Winter Soldier becomes an insanely dangerous villain. But what makes him even scarier, is the fact that he becomes recognizable. For the viewer, who has seen Bucky in the first Captain America film, it becomes difficult to blame the Winter Soldier for his actions. Though, watching him beat a man who used to be his best friend, even if his memory has been wiped, is still an unsettling thing to watch. Each time he causes pain to Captain America, he causes you to flinch. Throughout the film, despite how evil he gets, you always hope that something will turn his memory back on. When a quote finally triggers it, he is redeemed, and it becomes very easy to forget all the horrific evil that he caused throughout the film. The tormenting Mister Babadook is the most terrifying villain on the list. Not only because of the genre he exists in, and the way he creeps around in the shadows, but also because he is bound to the main protagonist. 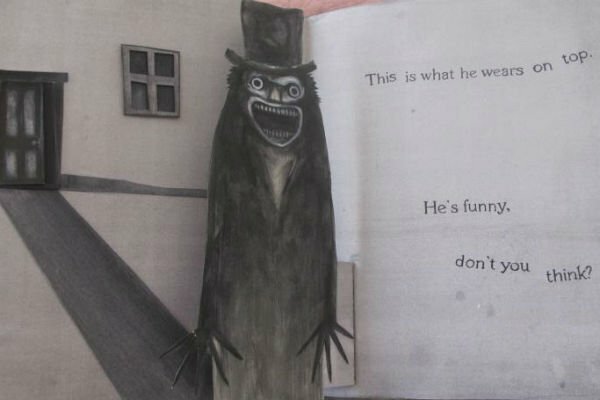 When Amelia first reads the story entitled "Mister Babadook" the monster comes alive with the sole purpose to torment the person who awakened him. He goes beyond the typical monster that goes bump in the night causing psychological issues as well as physical. But what makes this villain so interesting is the question of his origin. Through the movie there is indication that Amelia has actually created this character in her self-written children's books, so whether this character is a figment of her own imagination, or an actual monster, it is up to her and her son to destroy it for her own sanity, and for the relationship between her and her son to strive. Mister Babadook represents an extreme of an internal demon, an evil that only Amelia can fight out of herself. Despite not appearing in the majority of the film, Dr. Trask’s overall agenda in harnessing mutant powers into a weapon drives the evil in the film. The difference between Trask and some other X-Men villains is that he actually doesn’t seem to have a personal hatred for mutants, but as a scientist, he uses them. He treats them as if they were the rats in his experiments, and has even conducted fatal experiments. His destructive experimentation is the real evil, which stems from his own scientific exploration. 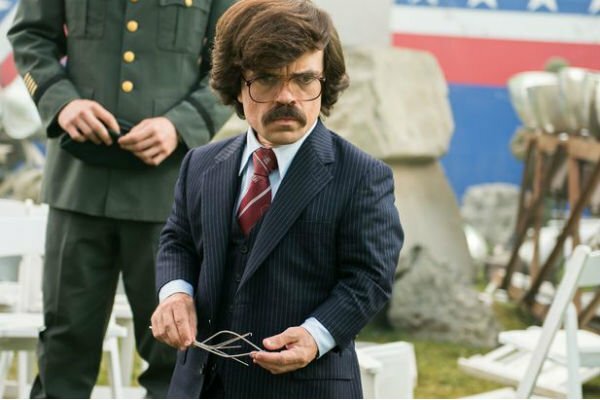 So while he may not be the most evil villain on this list, he does play an extreme role in the ultimate evil that threatens mutants of the future in X-Men: Days of Future Past. It is his technology, his inventions, his ideas that can be used for a more disturbing evil that lasts far beyond his time. He was the founder of the Sentinel program that caused the demise of most mutants, and the dystopian future that resulted with it. While his intentions may seem good at times, in the end, it didn’t even matter, for he valued selling his technology more than the research and knowledge gained from it. 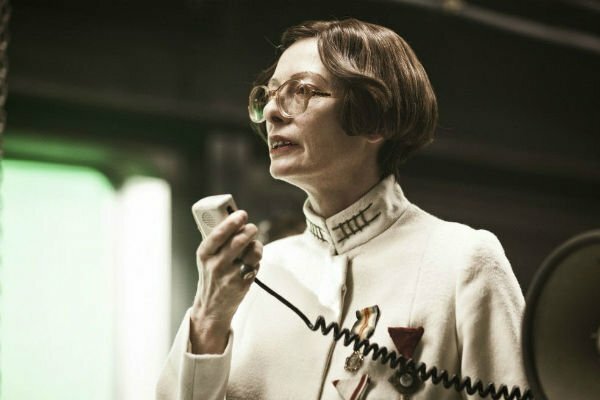 There are villains in Snowpiercer that are more powerful than prime minister Mason, but her delight in putting the lower class in their place, and watching them suffer, portrays her as the more revolting and disturbing role. As the right hand to the leading villain, Wilford. Because Wilford never leaves his train car, Mason is the leader that interacts with back cars (and lower class). She is an absolute monster, wide-eyed and excited to watch pain inflicted on poor and reminding them of the hierarchy that keeps order in the train. When she is taken prisoner by the leader of the revolution she tries to befriend the people she had previously belittled, so afraid for her life that she is very quick to dismiss all of her previous notions of the lower class. Mason is a weak and fearful villain. As the prime minister, she was always surrounded by armed guards, and was able to do as she pleased, because of her protection. When that protection is stripped, her true colors shine, and she loses all self-respect, begging for her life. She is the epitome of a sinister yet weak politician who gets her power through political structure, not because of any physical strength or even respect. She is corrupt and ridiculous a combination perfectly representing the nature of the higher class in the film. Again here is a villain who does not seem to play a particularly big role in the film, but it’s his actions that drive the villainous nature in the film. The Man Upstairs is the main antagonist of the film who is also reflected by his son as the evil Lego villain, Lord Business. The Man Upstairs is the ultimate strict father figure and it is through the son’s eyes that we see him. The son, Finn, sees his father as a rule follower, lacking creativity, and only following specific guidelines. This is the way the world works according to The Man Upstairs and also to Lord Business in The Lego Movie. The evil of straining a child’s creativity or of telling him not to use the power of his imagination is a strong message to all the parent’s who took their children to see this film. By the end, The Man Upstairs sees the beauty in being different and in using one’s imagination (specifically with Legos) as opposed to only following the instructions. As a child, Finn’s world is quite small, making his father’s "evil" much more prevalent to his life. So when Finn is able to break through and bring his father to an understanding and therefore deeper connection with his son, it is defeating one of the biggest evils that can exist in a father-son relationship. 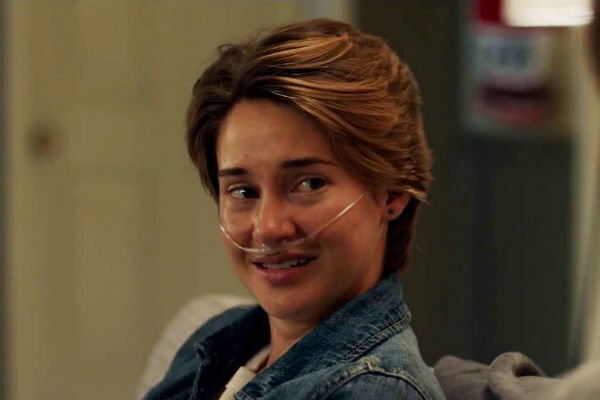 One of the most unforgiving villains in real-life also shows off its ruthless nature as the main antagonist in Fault in Our Stars. Cancer plays the big evil in the film, it interrupts and slowly eats away at its victim. It takes over their body and their lives. Cancer is unpredictable and has a tendency to take undeserving victims. Even if it takes a rest, and a person goes into remission, they are always reminded of the lingering evil that could very easily come back alive. And it does just that, taking the life of a character that had fought so hard to fight it off, only to quickly realize it came back strong and with a death wish. To see this evil in young people, is the most extreme villain of them all. There’s absolutely no mercy, it conquers over love and eventually ends a blossoming relationship. This evil may not even be human, but the pain and suffering it causes in real-life, and in the film is far greater than any of these villains could try to do. At the end of the Rise of the Planet of the Apes we were given a glimpse of Koba’s aggression and hatred towards the humans. Koba, an intelligent and experienced ape had been abused by humans most of his life. Despite his clear appreciation and respect for Caesar, his troublesome past takes the best of him. And like most villains, he focuses on the source of his anguish, and directs aggression towards that source. Koba proves his trustworthiness, and Caesar embraces him as his brother, which is why his villainous ways are even more disturbing. 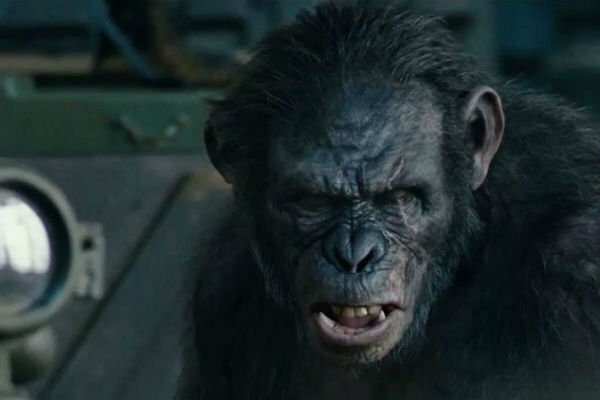 In Dawn of the Planet of the Apes, Koba’s hatred towards even non-threatening humans turns out to be much stronger than the bond between apes. By shooting his own brother, by lying to his colony, he shows that his aggressive nature is his only drive, and that the love and kindness that his family has given him can not overcome his internal struggle. To strategically plan a murder on someone who has quite literally freed you from the cage of those struggles makes Koba one of the most villainous characters to hit screens this year. 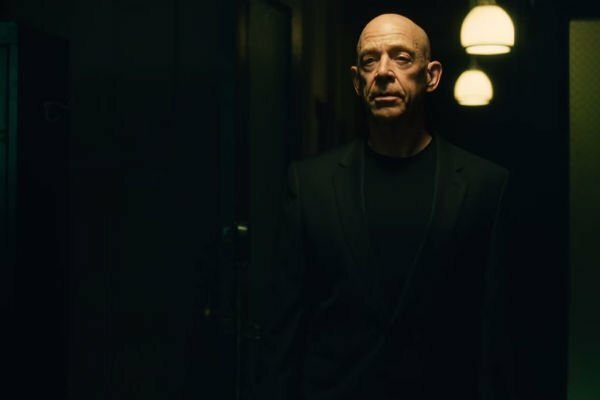 In one of the best performances of the year, J.K. Simmons brings to life the bullying and aggressive jazz band conductor, Terence Fletcher in Whiplash. With his dark clothing, and bald head, he has the perfect look for an evil antagonist. But it’s his ruthless nature that lends him to the top of this list. Upon the first introduction to his character, he is portrayed as a straight-shooting top conductor, who high standards and is regarded the best of the best. So despite the tortuous schemes he inflicts on his students, particularly the protagonist drummer, his students take his abuse in hopes that he can further their musical careers. He is manipulative, cunning, psychologically and physically abusive, so much so that one of his past students killed himself due Fletcher’s inflicted trauma. But the depth of the character comes from his excuse for his unsettling ways, and the pure excitement he has when he does see talent in his students. He admits there is reason behind his abuse, that the worst two words in the english language are "Good Job" and when he is defeated, his eyes light up. Because his own defeat is exactly what he hoped for, someone to prove him wrong, a great to be born because of his push. 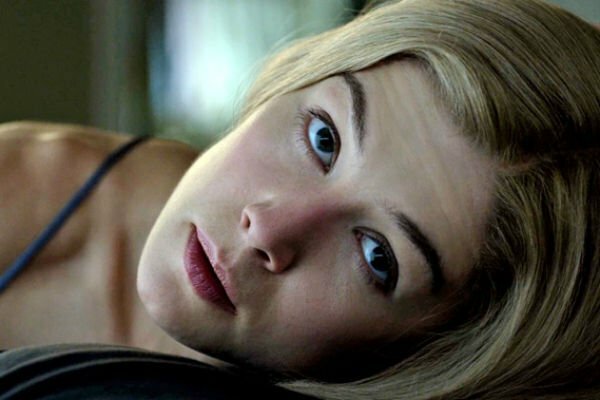 The master manipulator of the year goes to the psychopathic Amy Dunne in her performance of the ultimate set-up in Gone Girl. Though her marriage was already on the decline, when she finds out about her husband’s betrayal, she takes things into her own hands, and commits the ultimate revenge. The most villainous aspects of the character are not just in her deceitful and manipulative nature towards her husband, but that she also projects those characteristics towards the audience. She is an unreliable narrator that at times you sometimes feel yourself rooting for, even after finding out all she has done. What makes her character even more unsettling is that after she cunningly sets her husband up for her murder, and watches his demise, it is her way of retaliation. And not in the sense of complete destruction. Once he portrays his regret of the affair, Amy manipulates a new situation to get her husband off the hook. She goes from loving wife to identity changing, manipulative psychopath, And it’s the surprising switch that makes her one of the most intriguing villains.